If I ask you to describe your favorite gravy, what would you say? 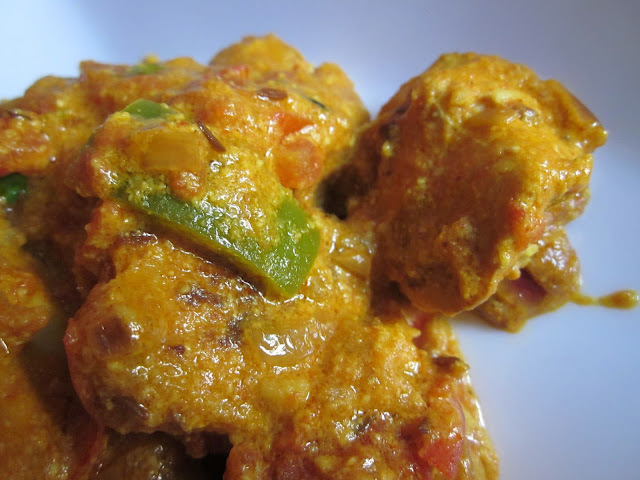 Creamy, rich, flavoured with just the right amount of spices and yes, succulent meat or vegetable chunks. Todays, dish is just that. The British claim that they’ve invented it, while we Indians claim to have invented it way back in the Mughal era; and in this “us” versus “them” debate, the fact remains that chicken tikka masala is to Indian cuisine just what fish & chips are to British cuisine. Historically, legend has it that Butter Chicken and the Chicken Tikka Masala was prepared from the unwanted remains of the chicken like the neck, wings etc left over by the Nawabs. The cooks would then gather the pieces and cook then in a tomato gravy flavored with spices. Needless to say, the dish has been through many modifications and variations down the ages and the version we have today is made popular by a restaurant called “Delhi Darbar”. The actual flavor of the dish comes from the grilled chicken pieces. The other secret is the rich sauce made from tomatoes. One look at the texture and presentation may make you feel that it’s complicated to make but believe me, get everything ready and making this will be just a breeze. The original recipe doesn’t call for capsicums; however, I added a small one just to add some crunch to otherwise smooth gravy. To be honest, doesn’t matter where or how the dish was invented; simply enjoy the sumptuous Chicken Tikka Masala. · In a heavy bottomed pan heat oil, and add in the whole spices and the cumin seeds. Sauté spices till you have a fragrant aroma from them. Once the spices are done, add the chopped onions and cook till the onions are entirely caramelized (brown). · Now add the ginger garlic paste and cook well. 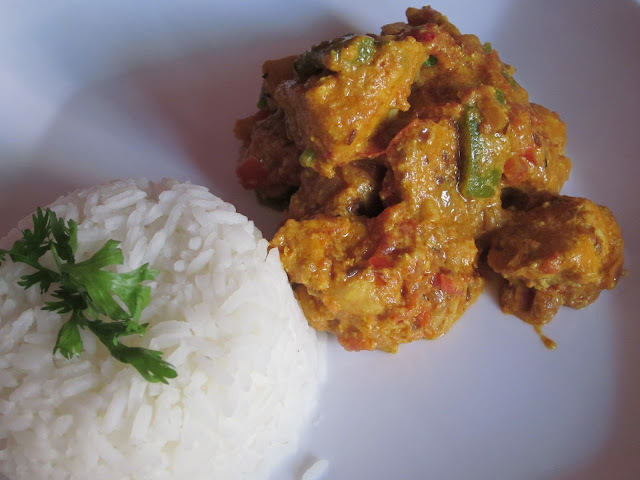 · Add in the chopped tomatoes and cook till the tomatoes are pulpy. This is a very crucial step since if the tomatoes are not well cooked; the gravy will separate and ruin the dish. · Once the tomatoes cook, add in all the spice powders (coriander, red chili, turmeric& the garam masala powder) and mix well. · Once the spices have integrated well with the rest of the mixture, add in the cashew nut paste and sauté till the oil leaves the sides and the mixture has thickened a bit. · Add the pieces of chicken tikka and mix well so that the pieces are covered well with the gravy and the flavours permeate into the pieces. Add a little water to the gravy to adjust to your consistency. Add salt, curd and cover and cook for about 7–10 minutes. · Add the chopped capsicum, coriander and the lime juice and mix well. · Serve hot with steamed rice or parathas. 2. 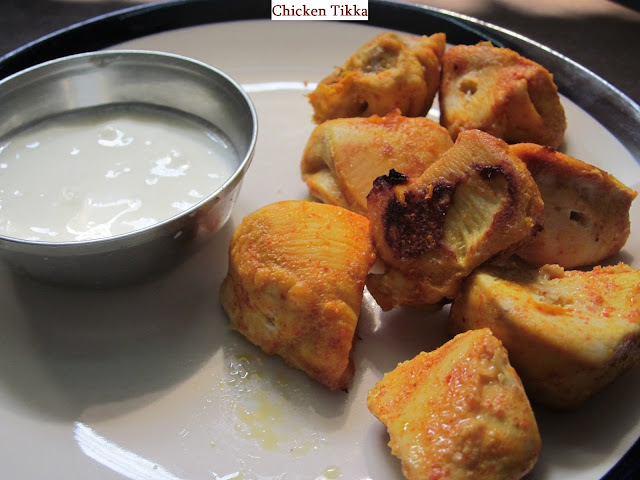 Clean and wash the cut the chicken into 1 inch pieces and marinate them with curd, red chilli powder, turmeric powder and garam masala powder for half an hour. 3. Keep the chicken pieces on a grill and bake them in the oven at 175 C for 10 minutes. 2. Grind to a fine paste in a mixer. Well thank you for the history lesson. Lovely looking recipe and I look forward to trying. Thank you so much!!! I am glad you liked the post. Please do try and let me know how it turned out. Would be nice if you could mention your name.